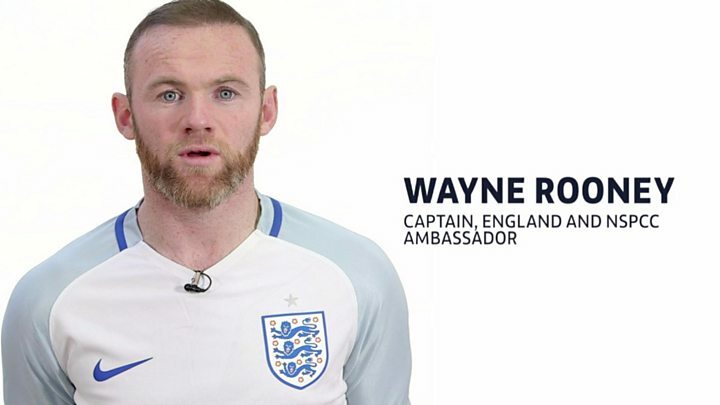 Captains of three England football teams have taken part in a film about how to keep children safe in the sport. The video for the NSPCC and the FA explains how parents and children can raise concerns they may have about adults working in football. The men's, women's and cerebral palsy team captains - Wayne Rooney, Steph Houghton and Jack Rutter - all feature. 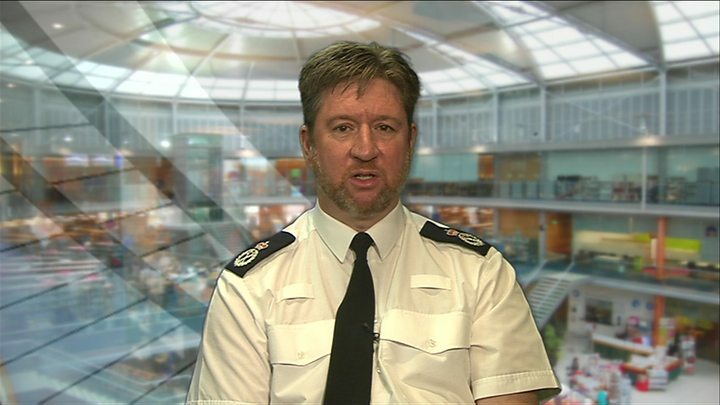 Earlier, West Midlands Police said it was investigating historical football abuse claims - the 18th force to do so. The video, which also includes England's under-21 vice-captain Nathaniel Chalobah, features the players speaking to the camera, outlining the four "key steps" the FA says its 8,500 safeguarding officers will conduct to keep children safe in football. These include ensuring adults in football have been checked to ensure they are eligible to work with youngsters and that they have received suitable safeguarding training. The other measures are making sure concerns from both children and adults are listened to and that concerns about a child's welfare are reported. Rooney said: "It's important that everyone knows how to raise any concerns about a child's welfare." Meanwhile, ex-England captain Alan Shearer has said he has been "shocked and deeply saddened" by revelations of abuse in the game. The former striker, who like Rooney is an ambassador for the children's charity NSPCC, said he understood "the pain and lasting damage abuse can cause". The Match of the Day pundit added: "I have nothing but huge respect and admiration for all the players who are now coming forward, bravely breaking years of silence in a bid to help others. "They have carried a terrible burden for too long." He said the FA had "acted swiftly" in its response and urged any victims to come forward and contact a dedicated NSPCC helpline. "It is okay to speak out, there is help available and you don't need to suffer in silence anymore," he added. Earlier, Southampton Football Club said it had contacted Hampshire Police after receiving information about allegations of historical abuse. The club said it was offering its "full support" to the force in its probe into allegations in the Hampshire area. On Thursday, several former Southampton players alleged they had suffered years of sexual abuse by a former employee. Meanwhile, ex-Southampton manager Lawrie McMenemy has told the BBC he would have taken immediate action if he had known of any abuse allegations during his time in charge between 1973 and 1985. He said: "Certainly if I'd known that was happening in my time - and I don't think it did happen in my time - I would have got it killed straightaway." On Friday a former Chelsea footballer became the latest football player to make allegations of abuse. In the Daily Mirror Gary Johnson, who was a member of Chelsea's first team from 1978 to 1981, claimed the club had paid him £50,000 to keep quiet about abuse allegations. He told the paper he had been abused as a youth player in the 1970s by Eddie Heath, who is now dead. Football Association chief executive Martin Glenn said if there was any evidence of rules being breached - "and hushing up would be one" - it would apply its rules "regardless of size of club". In a statement, Chelsea said: "Chelsea Football Club has retained an external law firm to carry out an investigation concerning an individual employed by the club in the 1970s, who is now deceased. "The club has also contacted the FA to ensure that all possible assistance is provided as part of their wider investigation." West Midlands Police became the latest force to say it was investigating claims of abuse within the game, saying it was speaking to complainants about "four historical allegations". Kent Police also confirmed it had received reports of historical child abuse within the county's football community, which it said it was reviewing. Kent Police has said it received reports of historical child abuse within the county's football community and is now reviewing them.